If you live in a warm environment such as central or southern Florida, ground orchids can do well in your flower beds almost year round. In other parts of the country, you can grow them in containers and bring them indoors when the weather begins to cool in the fall. Spathoglottis garden orchids are a terrestrial orchid, which means it developed in the soil instead of in the air on tree branches. Growing ground orchids is not much more difficult than growing other bedding plants, and you’ll be rewarded with 2-foot spikes of brightly colored flowers that bloom almost continually throughout the growing season. What is a Spathoglottis Orchid? What is a Spathoglottis orchid and how is it different from other potted orchids you may want to grow? These stunning plants do well in the ground, so they’re well-suited as a bedding plant in very warm environments. They make a striking landscape statement with their tall spikes and almost constant blooms. These plants will grow to 2 feet tall and will tolerate light shade to full sunlight. Spathoglottis is very forgiving, with the only crucial element they have being the air temperature around them. They like to live in the high 80s during the day and no cooler than 50 F. (10 C.) at night. Ground orchid care begins with the correct type of planting medium. 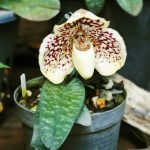 Fortunately, these plants are relatively forgiving and can be grown in general orchid mixes or a combination of orchid mix and soilless potting mix for general potted plants. Watering is an important concern when considering care for Spathoglottis. This plant needs its moisture, but can’t stand to have its roots constantly wet. Water the plant thoroughly, then allow the surface and top layer of the planting media to dry out before you water it again. In a protected area, it will probably need watering twice a week, but you may have to increase this in very warm or breezy areas. Ground orchids are relatively heavy feeders and need regular fertilization. The easiest way to accomplish this is by using a timed-release orchid food and applying it every four to six months. 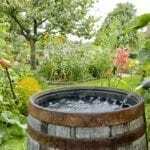 This will avoid the feast-and-famine routine of a regular feeding schedule, and will give your plants the best amount of food to create regular blooms.